About 25 years ago, I remember a very tense conversation around the dinner table. As my mom, dad, brother (7), sister (2) and I gathered for our family meal, there was a “feeling in the air” that even a 10-year-old boy could recognize. With a calm in her voice yet a nervousness in her words, my mother explained to us that my aunt had recently been to the doctor for some tests … and those tests revealed something very troubling … that my aunt had … cancer. “Cancer!” I exclaimed in a loud and scared voice that one could tell was the exact way my mom and dad felt but didn’t want to show, so as not to upset us kids. It was almost as if the word itself was evil and that merely speaking the “C-word” caused the room to be filled with fear. Or that perhaps simply uttering the “C-word” would open up the windows, and cancer would magically crawl into the house and affect one of us—right then and there. Cancer was scary … cancer was alarming … cancer was mostly an unknown … and we didn’t even want to talk about it. Fast forward 25 years. Cancer is still scary. A cancer diagnosis is still alarming, and it is STILL a horrible disease. I would never diminish anyone’s battle with cancer. Lord knows I’ve lost way too many friends and family to the disease. However, ONE thing that has drastically changed during this past quarter century is how we as a culture approach cancer, face it, and come together as a community to support friends and family affected. Heck, nowadays we would probably host a fundraiser at the neighborhood American Legion for my aunt. We’d have t-shirts made supporting her, hashtags would be trending, and we would make damn sure she knew the entire community was going to be with her and her family during the emotional and potentially grueling battle. Again, NONE of this is a bad thing. In fact, just the opposite—these things are all PHENOMENAL displays of support and love during a battle that many times is quite literally a fight for one’s life. Now take this same story and change the disease to … mental illness. Swap in any mental illness: depression, anxiety, bipolar disorder, PTSD. Would we still be hosting a fundraiser for that? Would our community of friends and family print t-shirts? Probably not. The question I have is this: Why is it so different if someone’s battle originates in the MIND rather than the BODY? The National Alliance on Mental Illness estimates that approximately one in five Americans experiences mental illness in a given year. That’s 20 percent of Americans! Yet there is still a stigma attached to it. There is still misunderstanding and an “unknown” aspect to these diseases that affect the most powerful part of the entire human body—our brains. Unfortunately, the reality is that mental illness unchecked or untreated can result in a difficult and emotional battle for one’s own wellbeing and life. According to the American Foundation for Suicide Prevention, suicide is the 10th leading cause of death in the U.S. And it’s absolutely preventable. But those affected by mental illness often suffer quietly and alone, due to the stigma of acknowledging the need for help, the unwillingness to be vulnerable, and/or the lack of understanding, compassion and empathy from others who don’t know what to say or how to help. I’m not suggesting we call the local Lions club to help us organize a “Linda fights her demons” fundraiser for my friend battling depression. And we should most definitely continue to hold community events supporting those diagnosed with some form of cancer. However, I AM suggesting we need to be more aware of the fact that there’s a “Linda” in your life RIGHT NOW who is battling a disease you can’t see and might not know about. She may be too embarrassed to say something or not how to broach the topic. Or perhaps it is YOU who is struggling with anxiety? Maybe YOU battle depression but don’t want to “burden” friends or family members with your problems, fearing they “are too busy” to listen. Or maybe you experience post-traumatic stress and are reluctant to seek professional help because of some notion that only “weak” people do that. As a society, we need to approach mental illness more like we do physical illness. We need to be willing to start the conversation about mental health, thus reducing the stigma associated with it. If we can take these steps, I believe we WILL saves lives. But we can’t wait—this must begin now with our generation so that our kids can sit around the dinner table and be comfortable saying that they aren’t feeling well … in their mind … and that they need some help. Paul Thomas is the founder of the LIVIN Foundation for mental health awareness and suicide prevention and the Get Busy LIVIN Music Festival. He is also the board chair for the Midwest Country Music Association and an on-air morning-show personality for 102.9 The Wolf in Minneapolis. Find more information about the LIVIN Foundation’s mission, including how to donate, at www.livinfoundation.org. Join the LIVIN Foundation for its 2nd Annual Get Busy LIVIN Music Festival on Saturday, Sept. 21, 2019, at ERX Motor Park in Elk River, Minn. Details on Facebook. I've spent the better part of the past year in excavation mode, tearing down walls. I can’t remember when it exactly started, but at some point along the way I realized I was sick of living within the boundaries of what was comfortable. So, I gathered some courage and started digging, and piece by piece, brick by brick, I've been tearing down the fortress I've been building for years. These days, openness looks a lot like shaky hands and stumbling words. I've never been good at talking about the hard stuff; in fact, I'm notoriously good at avoiding the hard stuff all together. But, as I've discovered time and again, this does nothing but make things worse. So here I am laying out the mess and holding up a sign inviting others to do the same—to put aside the facade of perfection and sit a moment with the hard stuff. This doesn't mean dwelling on your struggles or defining yourself by them. It means simply acknowledging them—sharing the not-so-pretty parts of life, the parts that play just as much of a role in shaping us as the good parts do. Our stories have so much more power than we realize, and when we share them, we have the ability to reach others, to make someone else dealing with similar things feel a lot less alone. My own story revolves around mental health. My experience with mental illness and recovery began when I was diagnosed with anorexia at the age of 10. At a time when most kids should be worried about sleepovers and soccer games, I worried about measurements and nutrition facts, suffocating myself with the need for perfection and control in my life. I spent the summer between fourth and fifth grade in an intensive outpatient therapy program. There, I learned about the role mental health plays in physical health and how inseparable the two really are. As if this wasn’t enough to wrap my head around as a fourth grader, my doctor also diagnosed me with generalized anxiety disorder, explaining that other conditions, like anorexia, can manifest as a result, or in a co-occurring fashion. There is certainly no standard experience of anxiety, but for me, it feels a lot like running a race without sight of the finish line. My back stiffens, my throat constricts, and I lose the ability to think about anything else. I get anxiety about most things, both big and small. Rationally, I know it isn’t warranted and it doesn’t make sense, but once it starts, the panic sticks in my mind, burrowing itself further into my brain and seeping down into every inch of my body. Anxiety is a natural part of life, but anxiety disorders differ in that the feeling doesn’t rise and fall like natural emotion; it is much harder to control. Since that therapy program years ago, my journey with anxiety and mental health has been admittedly messy. For a long time, I kept that summer, and every appointment and treatment that followed, very quiet. Alongside the embarrassment and shame that often comes with mental illness, I’ve always felt a certain sense of guilt about it as well. What right do I have to be sad and anxious when there are other people who have it way worse than I do? What if I had to face problems that were bigger than these ones; how would I even be able to handle it? But this is the problem with mental illness. So often, we don’t talk about it because of these feelings of shame and guilt, and as a result, it makes the situation that much harder to overcome. Last year at this time, I began taking medication for my anxiety. This decision came at a time in my life when I should have been the most happy and fulfilled. I was in school working toward a career I am passionate about, surrounded by friends and family who are as supportive and loving as can be, and I felt more driven and determined than I ever have before. However, at the same time, I felt like I was gripping on to all of it by the skin of my teeth. I came home every day exhausted from nothing but battling my own mind—my anxiety robbing me of the happiness that I knew I should have felt, that I so desperately wanted to relish in. Because of my experiences, I have always tried to support others in their decisions to improve their mental health. However, when it came to my own journey, I couldn’t help but feel it was a massive defeat. I remember watching my doctor as she wrote out the prescription I had been avoiding for years. I have always prided myself on being independent, able to fix my own problems if need be. So, as she went on to describe how the medication, combined with other forms of treatment would help to “fix” my anxiety, I couldn’t help but think I should have been able to “fix” this myself. It was during this time that I came across Dissonance at a concert for one of my favorite artists, Your Smith. Board members were there talking to concert-goers about mental health and recovery and selling T-shirts created in collaboration with Your Smith, then known as Caroline Smith. 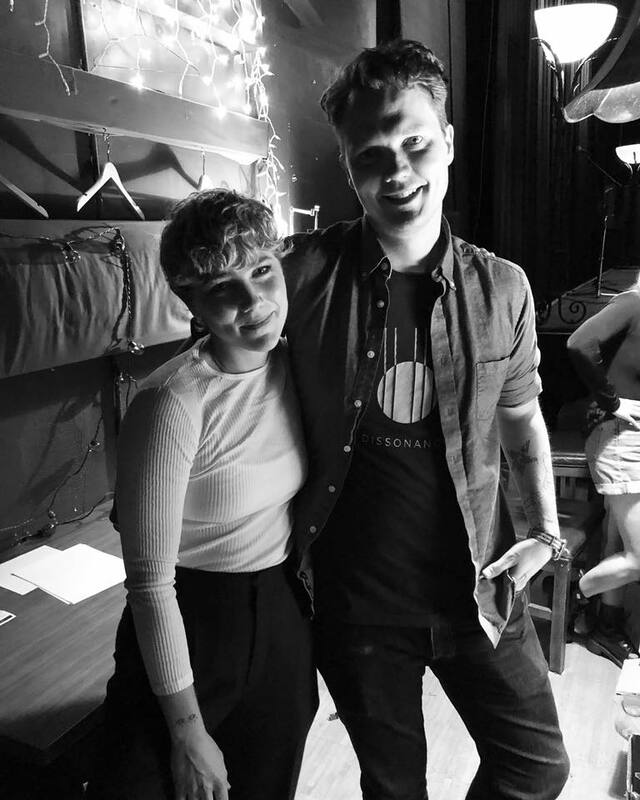 The T-shirts—both a Dissonance outreach campaign and a fundraiser for the nonprofit—featured a quote from Caroline: “Literally everyone can benefit from therapy.” I am not usually someone who looks for signs, but something about the way they spoke about mental health in such a casual and supportive way stuck with me. That night, something shifted in the way I viewed my situation. Slowly I began to open up, first to family and then to friends, pouring out the ugly, the uncomfortable, and the strange. To my surprise, I found that as I opened up to others, they began to feel comfortable enough to open up to me about their experiences as well. All this time, I had been dealing with these things alone, while some of the people closest to me were dealing with them, too. So today, I am trying to remain open and honest. I don’t talk about these things to be weird or depressing. I talk about them because—although they do not define me—they make up a part of who I am. Maybe these things play a role in your life too, and maybe, like me, you need someone to reach out and say, “me too.” We all deserve to be loved and known for our most authentic selves. Until we start sharing our stories, bearing our mess, and listening to each other, we cannot truly be understood. So grab your shovel, and let’s get to work. Mariah Wills is a student at the University of St. Thomas and a Dissonance board intern. See Mariah and the rest of the Dissonance crew on Dec. 20, 2018, at the third annual Unhappy Holidays event in St. Paul. It’s free, but seats are limited, so please reserve yours ASAP. As an artist, I think a lot about endings. As a writer, I want the right line to finish with, to leave the story with the right emotional impact. In theater, the experience is ephemeral and that memory after the ending is the point, the joy of it. I think about endings because as 2018 draws to a close, I will be rolling off the Dissonance board of directors. Since our first conversations three years ago about taking a series of panel conversations into a nonprofit organization that brings people together to make and share resources to support the creative community, building Dissonance has been a profound and satisfying experience. I often describe the work of Dissonance as being loud and open about smashing stigmas so that we get to have quiet and personal conversations. In the first part of that equation, Dissonance has been a platform to share my own story of sobriety and recovery. In 2012, when the first Dissonance panels took place at McNally Smith College of Music, I was relatively new in recovery, and to see other artists sharing their own paths—and to connect with them through art—was inspiring. Human connection is one of the keys to living a meaningful life and countering the isolation and separation that can feed addiction and mental illness. Being able to work with Dissonance has connected me to so many great colleagues and offered me so many opportunities to grow through sharing my own experiences publicly. 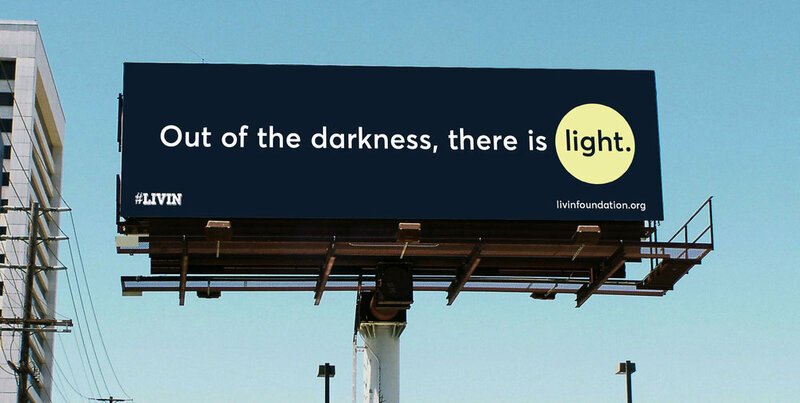 I couldn’t be more grateful for the work, especially as we’ve been able to do this at a time when so many others – from the talented folks who make up the Dissonance community to celebrities like Kevin Love, Mariah Carey, and Pete Davidson – are sharing their own stories about mental health, addiction and wellness. When we name something, we make it manageable. We make it shareable. We put off the burden of having to carry things alone. Sharing stories publicly makes us more empathetic and compassionate, and we need all of that we can get in the world right now. The second part of the Dissonance equation — getting to have quiet and personal conversations — has been one of the ongoing and tremendous joys of my experience on the board. So many people have reached out and shared their stories, or their needs — some at tremendous low points — and it has been an enormous privilege to be able to sit, talk on the phone, or text with each person, connecting in quiet support. Very little makes me as happy as hearing how people found a therapist in our Get Help Directory or seeing them share wellness milestones and anniversaries. The work of being well is everyday work, and it happens all around us. Matt Rasmussen’s poem “Chekhov’s Gun” opens with the line “Nothing ever absolutely has to happen.” That’s been so true in my own recovery. Addiction makes demise feel inevitable. Ten years ago, when I was just coming out of rehab, the life I lead now was not unimaginable, because I had little framework for imagining it. But the day-to-day work, the support of many others, the opportunities to connect — these are the exercises that strengthen imagination, and that have helped build a life rich with meaning. So in this ending, I need to thank those who have helped build all this meaning. The artists who have shared their talents at events and in conversation over the years, folks like David Campbell, Davina Sowers, Nora McInerny, Saymoukda Vongsay, Levi Weinhagen, Charlie Parr, Leah Ottman, MaLLy, Mark Mallman, Nicholas David, Caroline Smith, and everyone who has written for the blog, thank you for your brilliance and vulnerability. My fellow Dissonance board members past and present are so passionate and so talented, so to John Solomon, David Lewis, Haley Johnson, Kyle Frenette, Jen Gilhoi, Brian Zirngible, Katy Vernon, Ali Lozoff, Jeremiah Gardner and our fearless leader Sarah Souder Johnson, thank you from the bottom of my heart. What’s in that list of names is also this truth — the work we do is driven by the people who show up to do it. If this work has resonance in your life, come, build the next steps of Dissonance. There are so many ways you can connect – write for the blog, make a donation on Give to the Max Day, volunteer for Unhappy Holidays on Dec. 20, talk to one of us about joining the Dissonance board. In that sense, this isn’t an ending. I’m not really leaving, I’m just making some more space for myself and for others to shape the future. I hope it’s you who chooses to step up. What’s next?